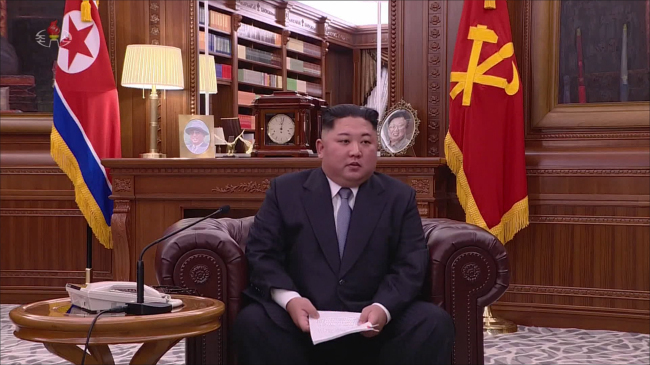 Kim said Tuesday that he is firmly committed to denuclearization and ready to meet with Trump at any time. But he also warned of the possibility of taking a "new path" if the US sticks to pressure and sanctions on Pyongyang. Trump and Kim held a historic summit in Singapore in June 2018, but denuclearization talks have since been stalled as the North demands sanctions relief while the US calls for sincere steps on dismantling nuclear weapons. On Kim's potential visit to Seoul, Thae said that he may propose additional inter-Korean summits at the truce village of Panmunjom, rather than in Seoul, if the two Koreas move closer to the resumption of two iconic inter-Korean projects. Kim said Tuesday that he is willing to reopen the now-shuttered inter-Korean industrial park in the North's border city of Kaesong and resume a suspended tour program to Mount Kumgang on the North's east coast "without any preconditions." The North Korean leader agreed to visit Seoul sometime last year during his Pyongyang summit with President Moon Jae-in in September 2018, but the trip was not realized. "What Kim is most interested in is related to getting realistic benefits like the resumption of the Kaesong complex and the Mount Kumgang tour project," Thae said.